Get Your Tickets Now to GPA’s “A Salute to Motown”! Wishing you could relive the sounds of the Temptations and the Marvelettes? Or maybe the soul and funk of the Jackson 5? Well, GET READY ‘CAUSE HERE WE COME! 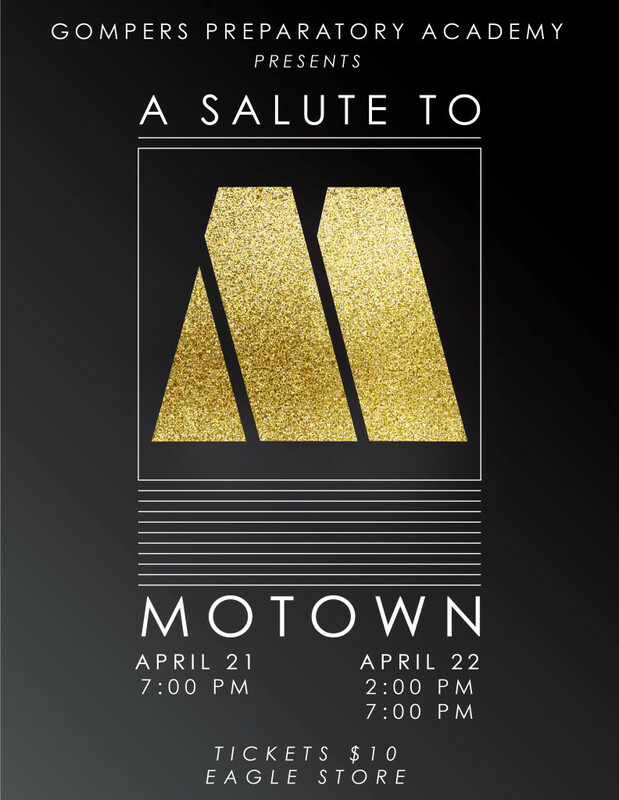 Come get your ticket to GPA’s “A Salute to Motown” on April 21st (7:00pm) or April 22nd (2:00pm & 7:00pm), on sale now at the Eagle Store for $10. There ain’t no mountain high enough for you to miss out on the fun, so see you all there! Click here to meet the Motown 2017 Cast! Parent-Teacher Conferences – April 17-21Eagles Make Their Way to the Science Fair Again!